After students look at their choices, they may come up with their own situation. This is what differentiation is all about…students making decisions based on interests! When I was getting my masters, we were encouraged to study exponentials in depth. This opened my eyes to all types of situations that are out there. I was inspired to create Exponential Functions: 6 Stations. Look at the titles of the stations below. Have you ever played Tower of Hanoi? There are free phone apps and online math sites that have this interactive game. Click here to see what I’m talking about! The number of discs and the least number of moves to get all the discs to tower 3 is an exponential function! How cool is that! Kids love games, so when you introduce this they will want to play for hours. Some of my buyers have turned these stations into other activities. After you see them all, you can decide for yourself how it works best for your room. These are not quick stations, they are more like math centers! I still was not finished creating exponential resources. I couldn’t get enough! I wanted a unit! I wanted that unit to be about multiple reps and I wanted it to include transformations, compound interest and compound interest where the compounding is continuous which would bring in the constant e. I wanted another data collecting activity because there needs to be practice writing exponential functions. At the end of the unit, I wanted an assessment. I believe in differentiation, so I created 5 assessments that cover the same thing but with different difficulty levels. 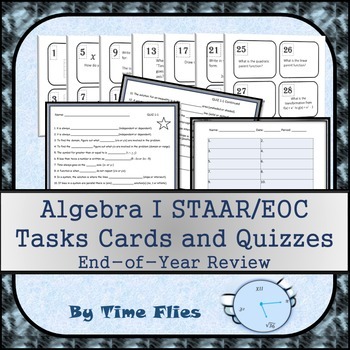 The assessments are a part of my unit in my TpT store, but I also sell them separately. The unit also contains warm ups and cool downs. I make the unit a booklet and let the students work through it at their own pace. There are a few places in the unit, when the teacher needs to stop the class and have some discussions, but for the most part, the students can work through this on their own. Once they’ve made it through the booklet, we trade and grade. Students will know exponential functions forwards and backwards by the time they are finished with this unit. 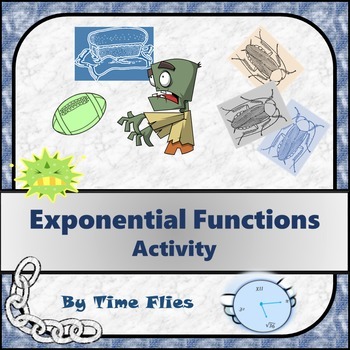 Here are the links to my Exponential Functions Unit and my Exponential Functions Bundle (which saves you money and has all the resources in it plus 20 task cards), but I’d like to leave you with a freebie. This is an exponential activity that I have done over the years. It’s fun, interactive and tasty! Enjoy! Learn more about the SAT/PSAT and ACT. Go to the CollegeBoard website and the ACT website and browse. See what those tests are like. Do you know what topics are covered on those tests? Learn the importance of the PSAT…it’s more than just practice! Do you know the purpose of the ACCUPLACER (or if you are from Texas it’s called the TSI)? The more you know about these tests, the better you will understand how you can help prepare your students. If you teach 5th grade math, does it matter if you know what is on the math portion of the SAT? I challenge ALL math teachers (elementary, middle school and high school) to take the math portion of the SAT or ACT. If you do not teach math, I challenge you to pick any of the portions of the SAT or ACT and take them…especially if it’s been awhile since you graduated from college! If you are a science teacher, check out the ACT science test. WOW! It’s crazy all the reading involved on that test! Open your eyes to what is on these tests and how they ask questions. 1)Pick a topic to focus on and spiral into your lessons every so often. 2)We all have important vocabulary that we cover, but Google SAT vocabulary list and create a word wall with some of these words. 3)Pick a testing strategy like timing your tests. 4)If you teach math, have calculator and non-calculator portions of your tests. 5) Use actual SAT or ACT or ACCUPLACER questions as bell-ringers. If you teach younger grades, simplify them slightly if needed. 6) Show your students how to get on Khan Academy. This site is awesome and has great college entrance practice. Talk about these tests in class. Start talking about them while the students are young so they know what’s coming and know what to expect. The great thing about this topic is you are starting the conversation about going to college. Some students do not get to have that conversation at home, so the only place they might hear it is from you. If you teach 9 – 11th graders, encourage your students to go ahead and take the ACCUPLACER or the equivalent in your state. It doesn’t cost much and they can take it as many times as they like. Have them bring the paperwork back to you and you can help them figure out their strengths and weaknesses. In Texas, the students must make a certain grade on the three parts so they do not have to take remedial college math and English classes. My next door neighbor took her 8th grade daughter up to the nearest community college last year and had her take the test. Guess what? She passed all three portions and she hasn’t even taken high school Algebra yet. My school encourages students to take the test when they are ninth graders. Many of them pass the first time, but most do not. This is when I step in and start reviewing them for the next time they take it. I’ll have to admit, that I did not see the importance of learning as much as I could about these tests until last year. I was given a class full of seniors that had not passed the TSI yet and my job was to help them pass it before the end of the semester. I found very little help online when it came to work that I could give them. I had no choice but to create my own reviews. I had to research the topics and I came up with 7 packets. I offer these in my TpT store. I also bundled all 7 reviews. My son is a senior, so I decided to put his picture on the front of the packet. I have to brag on him, he passed the TSI with flying colors. He is a fast test taker. It only took him an hour and five minutes to take all three portions. It’s an interesting test. If you do not pass the first 2o questions or so, it gives you 4o more to do, so that’s why it takes some students forever to take it. Please take this advice and start familiarizing yourself with these very important tests. See if you can add anything to your routine that might help your students. Be creative in your implementation and don’t reinvent the wheel. I hope I have motivated you to start your “College Ready Research.” Encourage your colleagues to do the same. Send me some of your ideas if you get a chance. Good Luck! Posted on November 10, 2016 November 11, 2016 Leave a comment on Are Your Students College Ready? Why Are Literal Equation So Hard? Parks and Rec has to be one of my favorite shows and Rob Lowe is very cute, STILL! If you’ve never seen the show, put this on your to-do list! You’ll think it’s weird at first but the characters are hilarious. Rob Lowe joins the show during the second season. He literally says literally 20 times a show…maybe I’m exaggerating, but he does say literally a lot! Watch it…you’ll love it. It’s a nice way to relax and get your mind off school. They are solving 4x = 8 in their head. They know that 4 times 2 is 8, so x has to be 2. They aren’t thinking about inverse operations. I’m realizing some students still do not know that 4x means 4 times x. When students see a problem with only letters in it, they automatically think that it’s hard. They are not making the connection that really all that is happening is that r is multiplied by t. If they knew the operation taking place in the problem, then they should ask what is the inverse operation. Students are not understanding that all they are “UNDOING” the operations to solve for one of the variables…which leads me to wonder if anyone has ever explained that when you solve equations, you are actually doing PEMDAS backwards. I’ve created a lesson that addresses all three of the issues above. At first, I think the student should analyze the problem by writing the equation in words so I can see if they understand what operations are taking place. I then ask them to circle the variable they are solving for so they can have a visual of what needs to be by itself. The notes below are what I give the students to get them started on this process. I take them through a problem similar to the one above and then I let them practice 4 problems that are similar to this. Below is a sample: If you like collaboration, these problems would be good for a sage and scribe activity. The sage tells the scribe what to write. The scribe has to stay quiet for a while and let the sage describe the steps and what needs to be written. I eventually let the scribe have some input because sometimes they are dying to help the sage. We switch roles for each problem. The final activity in this lesson is to help the students in their science class. I give them some science equations mixed in with a few math equations. I’m hoping by now, these problems will be easy. There is one more reason students do not understand literal equations and it’s our fault as teachers. 4. Teachers work on literal equations for one day maybe two and that’s it. How can they really get it? Let’s not make that same mistake again. I plan on recycling literal equations back into my lessons. I plan on using them in bell-ringers and I plan on putting them on assignments and tests in the future. How many people can understand something, especially in math, after one or two days? Remember that when a student first sees a literal equation, it looks foreign to them. They are not going to make the connection that they are just equations (at first). We can help make the student more successful in math and science if they learn to solve literal equations. Don’t take this topic lightly. Ask your science teachers what else students have a hard time with when it comes to math in their class. Bring something to write with, because you’ll get a list of items. Other things that my physics teacher has mentioned is conversions, graphing linear equations (knowing slope, independent and dependent) as well as being able to graph bar graphs. Posted on October 26, 2016 January 5, 2018 Leave a comment on Why Are Literal Equation So Hard? If two-column proofs are a part of your October curriculum, then use this silly proof as an introduction. I made this up a long time ago after watching “It’s the Great Pumpkin, Charlie Brown.” It’s got all the elements you need. I’ve used this as a bulletin board in past years. Have fun with it. It’s a part of my Two-Column Proof Lesson. 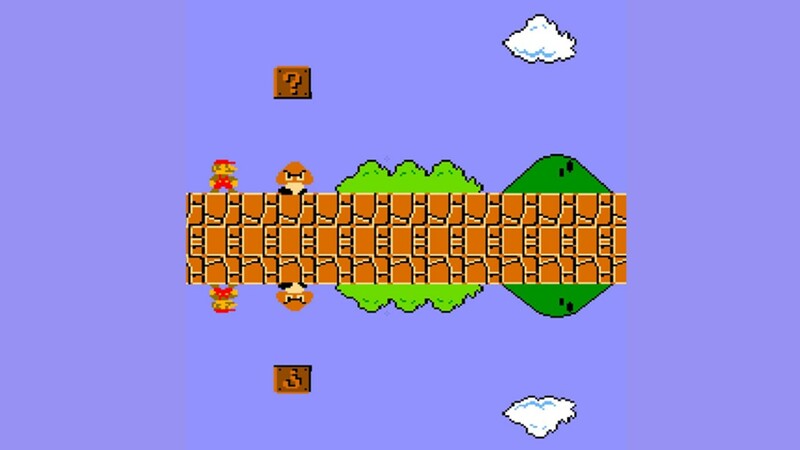 The first thing I do is show my students a Mario Brothers Transformation PowerPoint that I created this year. It’s a free download on my TpT site. So FUN! I tell the students to number from 1 to 4 in their journal and then I go through the PowerPoint to see if they can name the different transformations. I want to know what they remember from middle school. Next I have the students jot down a few notes and then I begin the hands-on part. I use patty paper and wikki stix. Every student was engaged, asking questions and YES….LEARNING! I show them pictures of me working on the transformations which is very helpful. I don’t have to stop and do it in front of them…pictures are worth a thousand words! The pictures are provide in the product and I think you will find them very useful. If you haven’t done transformations this year, I hope you will check out my Transformations Activity. Included is a note page, pages for each type of transformation, a quiz, keys and pictures. You will have a great time working through this with your students. Let me know what you think! Hope to hear from you soon. TI-Nspires are amazing calculators. I’m still learning how to use them. There are so many features, don’t try to learn them all at once. First of all, get the teacher software! I can’t live without it. In my district, even the students have the software available on their laptops. It’s wonderful. How do you get started? The first thing I learned was go to the HOME SCREEN and choose NEW DOCUMENT. If there is a screen that asks if you want to save, say no. Now choose what you want to do. If you are learning, you will only choose graph or calculator. This is what I still choose most of the time! The calculator screen is easy to use. If you are looking for something specific it is probably here: (see below) I used this button to type in a cube root as seen in the next pic. Choose Graph! Now you can type an equation. The x button is one of the white alphabet buttons at the bottom of the calculator. Hit enter when you are ready to graph. To graph a second equation, click the tab button and type in a new graph… or to change the first equation, after clicking tab, up arrow to the original equation. If you know this much, you are ready to use the calculator. The only other things that are nice to know at this stage is that ctrl t will pull up a table (and ctrl t will take the table off). AND the menu button has many things that will help you. I suggest clicking the menu button and checking it out! I use #4 and #6 daily. #6 is where intersections and zeros are and #4 of course helps you change the window settings like on the 84+. My goal was to help you get started. If you will start using these features and become very familiar with the calculator, you will discover new things on your own. Your students will also help you discover things. The main thing is to get started! Don’t let those calculators just sit. They are really awesome and helpful! Posted on October 16, 2016 October 19, 2016 Leave a comment on You Have TI-Nspires…Now What? Seating Charts – Are They Really Necessary? Do you want your students to be focused? Do you want to keep your students on their toes? Are your students not performing as expected? Seating charts might the answer! If I have an extra student, then he/she will pair up with the group in front or behind. When pairing students, I used my first 6 weeks grades. I tried to put a low with a high. I also have a few students with special needs, so I strategically placed them. I have one student that brings a huge backpack everyday. I put him on the far left, so he has plenty of room to spread out. Anyone that failed the first six weeks, is now right by my desk or at least in the front row so I can keep an eye on them. It really bothers me when the desks don’t stay where I put them, so I put tape on the floor and the front person knows that at the end of class to make sure that’s where their desk goes and the whole row will follow suit. Is this time consuming? Only on the front end. It is worth it though. I also like to label each row as an “A” or “B”. I will say things like, “A, you will tell your partner what the definition of perpendicular is and B you will tell your partner what parallel is.” I try as often as possible to have them speak the language of my class to each other. Seating makes a difference. If students know you don’t care where they sit, it becomes a free for all. I’ve become a control freak over the years but it is only because I’ve been the teacher that let’s their students sit where they want, listen to their ipods, bring in food and so forth and guess what? It turned out to be horrible. My students were too comfortable and not ready to learn. I’ve changed and I’ve seen a big change in how my students perform. You will too when you gain control. Posted on October 6, 2016 January 24, 2018 Leave a comment on Seating Charts – Are They Really Necessary?